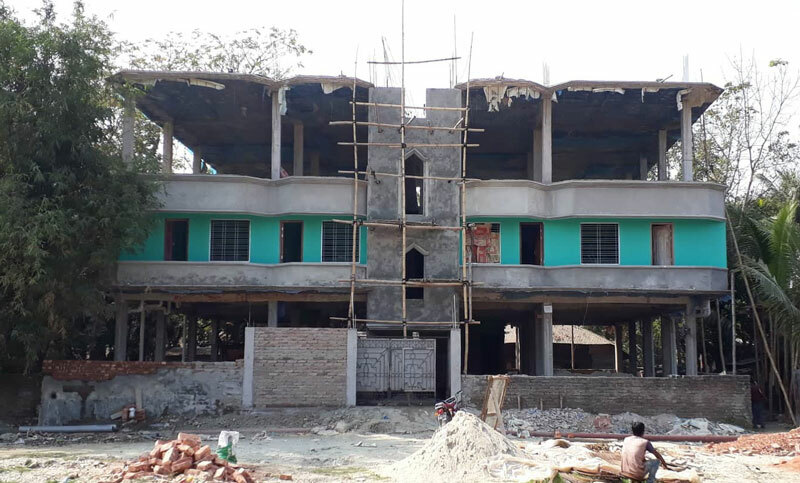 Mizanur Rahman, a third-person employee at Rajoir UNO office, has four houses in the village of Madaripur. The transportation business also invested a lot of money. In addition to his own name, he made a huge fortune in the name of his wife and relative. This third – class employee, Rajar Upazila Nirbahi Officer 's office, owns huge assets from zero to the moment and is working as Assistant Computer Monitor supervisor. Before that, he was working in the office of the Deputy Commissioner of Madaripur. He is currently a center of discussion in the Madaripur region and the common people of Rajoir upazila by showing the magic of a Class 3 profession in the Millionaire forest. He is craving pillars that are invisible. In many cases, they do not care too much for senior management. Many people are angry at this, but do not open their faces with fear. Mizan's property is found in the Deputy Commissioner's office in Madaripur. During this period he earned huge money from ordinary people in the name of leasing government property. Also, government property is leased in the name of yourself and your relatives. In this way he built four houses in the town of Madaripur. Whose market value is several million taka. Brothers also do a variety of business in this city. He is demanding to fund these businesses. There are also many properties in the Shamkhuk area of ​​the Banshkandi union of Shibchar upazila in the Madaripur area. In addition, he was involved in the transportation business in Madaripur and Shariatpur. Madariipur has 5 trucks and Shariatpur has several trucks. Studies also show that a third-grade employee has a home in the Pathakkandi area in Madaripur. He lives in this house. In addition, there are about five houses. Whose current market price is a few million dollars? The amount of land is 14%. Mizan builds multi-storey buildings at 8% of the land under the city. After finding out, the construction of this house was done up to the third floor. The market price of at least 3 million takas. Besides, he has a house in the Tantali area of ​​the city. There are many houses in this house. She is in the room with her sister. The remaining rooms are rented. In addition he has a house in the immediate area of ​​Uday School of Madaripur City. The land here is 10%. This house was built in the official land. I borrowed his brother's name while working for the deputy director. There are also 4-5 tenants. The cigar in this house is over a million dollars. Regarding the source of this asset, Mizanur Rahman said he bought the land behind the stadium at a very low price. The price of the land has now increased. We borrowed money from the bank and started building the house. In addition, land in the Thantli area also bought a small amount of land. Land prices have now risen. I buy them with my king. We are husband and wife. In addition, the land of Pathakkandi is a government property. One of my relatives would have enjoyed it. They rented my name and rented land in the name of my brother in the name of the American school. Also, there are several trucks that share them with my brothers. He also said that I have no illegal income.